Martinsell Hill in Wiltshire is one of the highest points in the area with spectacular views over the Vale of Pewsey. On a clear day the spire of Salisbury Cathedral can be seen, over 25 miles away! It is also of special historical importance having once been an important Iron Age hill fort, the remnants of which can still be seen in the various banks and ditches that populate the area. Along the south east facing escarpment is a line of weather beaten Beech trees. These trees have adapted to the harsh conditions and in doing so have been stunted in growth taking on an almost mystical, otherworld appearance reminiscent of a scene from a J R R Tolkien novel. 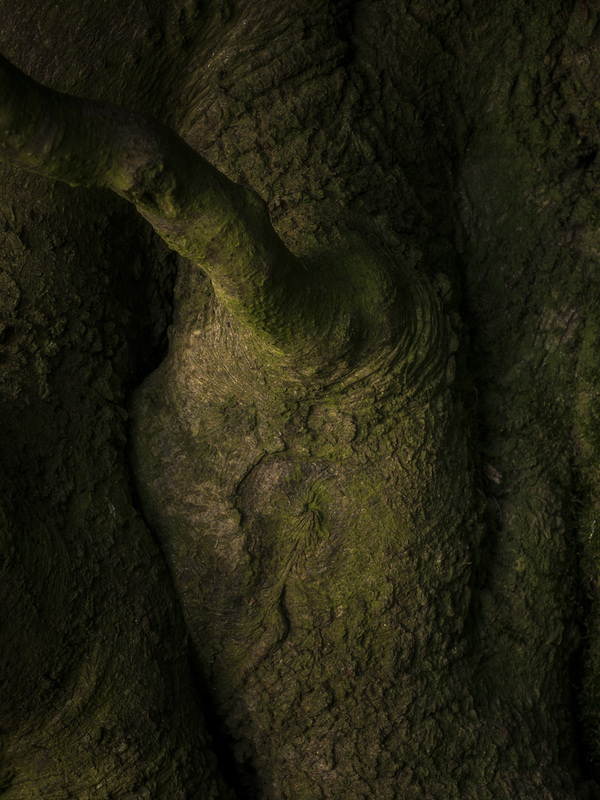 I have made images of this particular tree many times, it being one of the most characterful. During my last visit I began to look more closely at the the shapes and forms of its many gnarled and stunted limbs. Under the overcast conditions that I had to work with I began to see the beauty in the dark and delicately lit boughs.